I'm so glad you stopped by. . . .
And when Tiger can't sleep, no one can sleep. a noisy TIGER in the closet? The well-behaved hero of this story goes right to bed without any fuss. But the show-off tiger in his closet wants to tap-dance and play the drums. An increasingly annoyed little boy argues, scolds, and pleads. "Oops, Tiger is sorry! Tiger will be very, very quiet," Tiger promises— but it’s hard to be good when you’re alone in the dark. 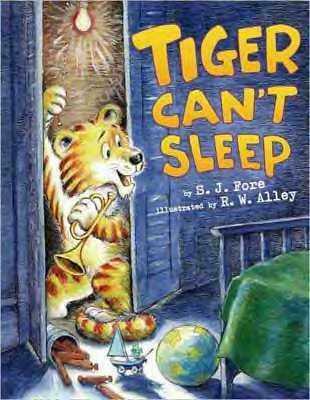 The little boy wonders if he’ll ever get to sleep—until he discovers the perfect way to deal with a noisy tiger . 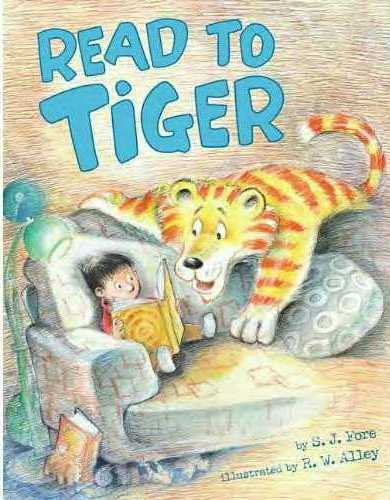 . .
How can a kid enjoy his book when there's a TIGER behind the couch . . .
. . . an energetic, imaginative tiger behind the couch, just begging for attention. It starts to seem like there's no way a playful tiger who wants company and a little boy who just wants to read his book can both be happy—until they discover the perfect solution . . .
~ Both TIGER CAN'T SLEEP and READ TO TIGER have been part of the Dolly Parton Imagination Library, a program which sends more than a million free books each month to children in many communities. I am excited and honored that READ TO TIGER has once again been selected to be included in the program for 2018! For more information and to find out if the program is available in your area, please visit the IMAGINATION LIBRARY. ~ How exciting! Both TIGER CAN'T SLEEP and READ TO TIGER have been published in the Korean language! To see pictures of Tiger's Korean books, please click HERE to go to the FUN STUFF page. ~ Maywood Fine Arts, an art school with a great program for kids, made TIGER CAN'T SLEEP into a live show! To watch a video of the show, please visit the FUN STUFF page! ~ Yay! It's storytime! 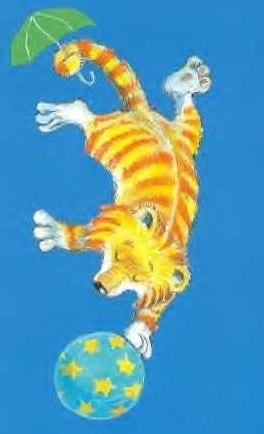 For read-along videos of TIGER CAN'T SLEEP and READ TO TIGER, hop over to the FUN STUFF page. ~ Wonderful news! 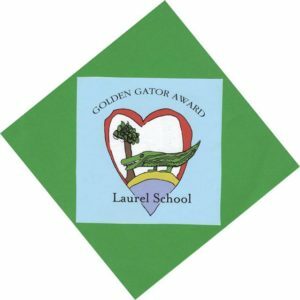 I am very honored that READ TO TIGER is the winner of the Golden Gator Award! It was voted on by the students at Laurel School in Shaker Heights, Ohio! Thanks for voting for Tiger!